Why is Emre stalling on a new contract? 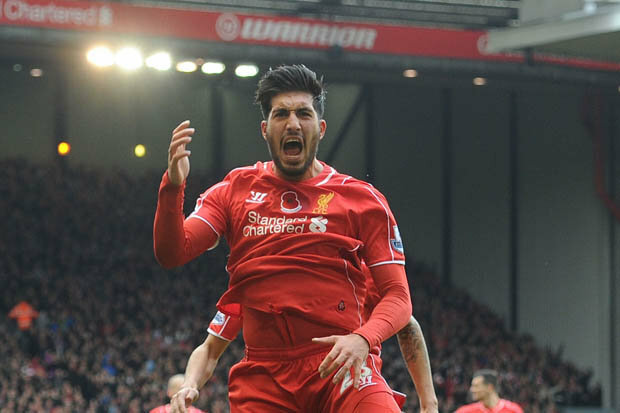 Emre Can played a vital role in Liverpool securing a top 4 finish last season. He scored five goals and assisted twice in 26 appearances (6 from the bench). Forget about the Leicester performance and he was the quality for us. We needed players to step up and he was certainly one. Fans wanted him gone when they heard he was stalling on a 100k contract prior to this but now we are all waiting in hope…. Watching Emre Can for Germany just makes me want to start a go fund me page so we can all chip in for his new contract. But why would he refuse a new contract worth 100k? Personally, it’s not about the money. He needs to be happy with his place in the Liverpool squad. He is a German international. He is 23 years old. His best years are ahead of him. But most importantly he wants to play football and not sit on the bench. The World Cup is coming up next summer so i suggest he is thinking about that. If Henderson was fit, would he have played his way back into the hearts of us fans? With his knee slide celebrations causing fans to love the handsome German even more! The answer is probably not. With Phil dropping back to midfield this moves him down the pecking order again. He needs assurances on his future and after the Confederations Cup or maybe closer to the end of the transfer window we may know about the situation.